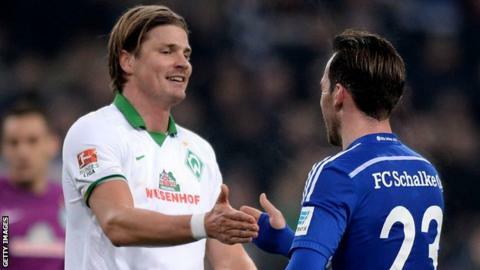 Premier League-bound Watford have signed Austria international defender Sebastian Prodl on a five-year-deal. The 27-year-old, who has 49 caps, was a free agent following his release by German Bundesliga side Werder Bremen, with whom he spent seven years and played in the Champions League. The 6ft 4in centre-back also played for Sturm Graz in his native country between 2006 and 2008. He is the Hornets' first signing since promotion to the top flight. Prodl moves to Vicarage Road amid continuing uncertainty surrounding the future of head coach Slavisa Jokanovic, with Quique Sanchez Flores reportedly close to agreeing to replace the Serb.